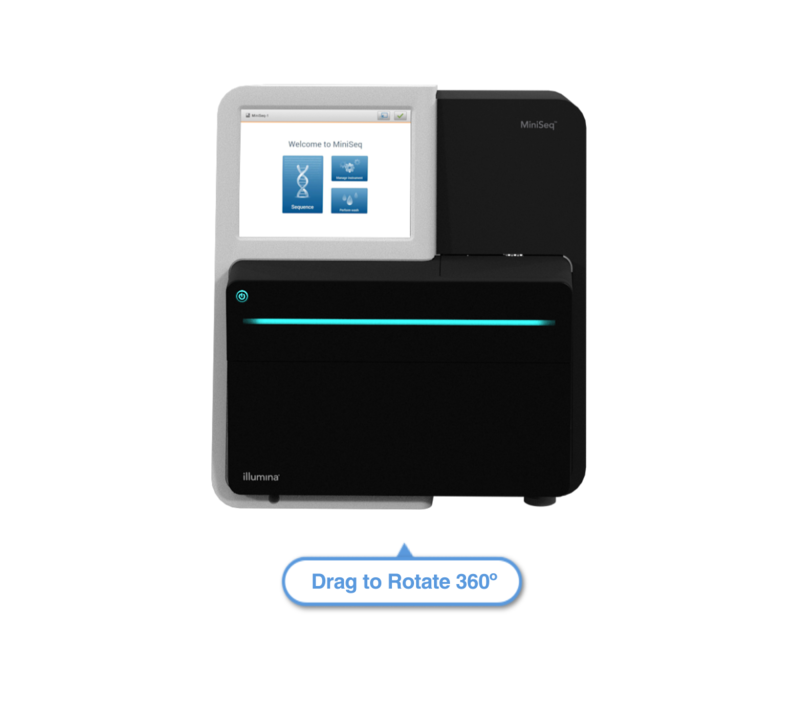 The MiniSeq System integrates clonal amplification, sequencing, and data analysis into a single instrument, eliminating the need to purchase and operate expensive, ancillary equipment, streamlining your workflow. Select the highlighted run on the screen to continue. Runs can be set up anytime and anywhere either onboard with Local Run Manager or on BaseSpace Cloud or BaseSpace Onsite. Sequence from 1 to 100s of samples. The flow cell is where clonal amplification and sequencing occurs. It accommodates up to 25 million clusters, which makes sequencing 1 to 100s of samples possible. Load your sample library into the reagent cartridge. The reagent cartridge contains all reagents necessary for clonal amplification, sequencing, and wash.
RFID encoded reagents help ensure that you have the right reagents for the run and accurate tracking throughout. Before your run, you can still make adjustments. Before every run a complete check is automatically performed, ensuring system readiness. Once complete, you’re ready to run. You can monitor your run on the instrument or remotely with Local Run Manager or BaseSpace Cloud or BaseSpace Onsite. Data in less than a day. The MiniSeq System delivers high-quality data quickly—in less than a day for many applications. Experience intuitive onboard data analysis and simplified reporting with Local Run Manager. For more extensive analysis, you can connect to BaseSpace Cloud or Onsite to securely transfer, store, analyze, and share data. 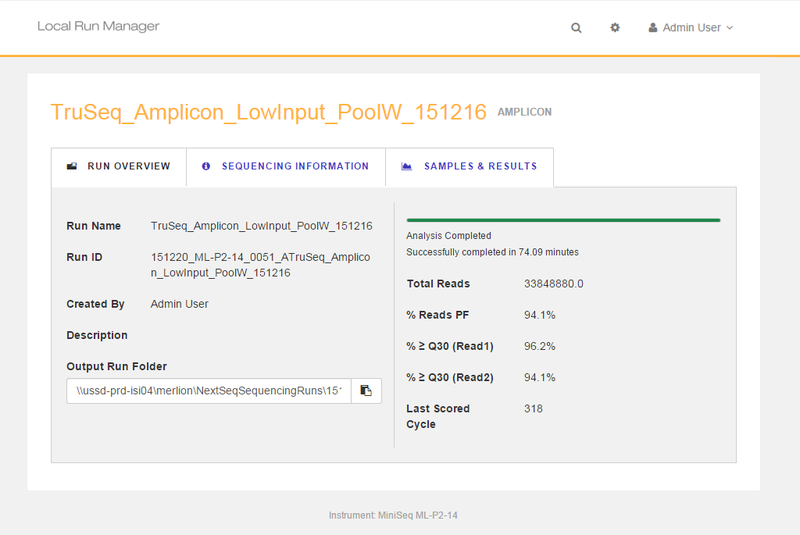 Let's review your data in Local Run Manager.